If you are one of the 5 First Growths of Bordeaux (Ch. Margaux, Ch. Lafite Rothschild, Ch. Latour, Ch. Haut-Brion and lastly, Ch. Mouton Rothschild), you might think you could rest on your laurels, not give a fig for any new fangled advancements and just continue to produce wine the way it’s always been done. I mean, the first classification was done in 1855 and only one chateau has been added since then (Mouton Rothschild), and that was back in the 1970’s. You could do that but if you’re Chateau Margaux you won’t or rather, you don’t. That’s not to say the others are not also innovating but Ch. Margaux is the first to go public with their experimental findings. Paul Pontallier, Managing Director and winemaker of Ch. Margaux was in town recently to give us a sneak peek into the inner workings of Ch. Margaux and how they are striving to maintain their reputation as one of the best wines of Bordeaux. He wants the world to know that Margaux is a forward thinking chateau and that they are looking to the wine business of the future, and the younger generation that will not only carry on the traditions but also build upon and improve what has gone before them. 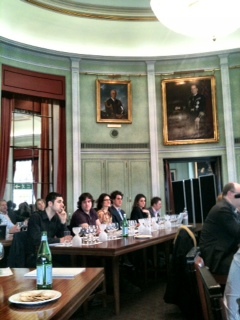 According to Paul, there is a plenty of experimentation and research going on in Bordeaux. He stressed however, that they themselves are not making anything new but rather in an organized way, they started these experiments because he does envisage change at some point in the future and his goal is to make the best possible wine and remain the best possible wine now and for future generations. So what are they up to? Pulling back the curtain of the great and mighty Oz (as in Wizard, not Clarke) we find, biodynamic wine! Let me explain first that the wines we tasted are not the ones that go into the first growth but are distinct plots that they are using on the estate to make these wines. For the first taste test we tried a bio-dynamically farmed wine, an organic wine and a conventionally farmed wine. All the wines were made in the same way but the farming methods were different. Paul said that for the bio-dynamic vines, they followed the principles to the letter, including herbal teas and spraying concoctions at odd hours and days of the month. The organic grapes were sprayed with copper sulfite but only in small amounts and the conventional grapes may have gotten a bit more copper sulfite. So how did they come out in the blind taste test? I found the biodynamic wine the most exiting of the three. Rich, deep and broody blackcurrant are what I have scrawled on my notes. A little bit green but nothing off putting with an earthy finish. There was a very enticing quality about this wine, as soon as I tasted it, I immediately liked it. The organic plot produced a wine that was not as aromatic, lighter on the palate with paprika notes standing out from the crowd. The last wine was the conventionally farmed plot and while it had a rather perfumed nose, with hints of green pepper, it seemed the most unfinished of the three, less intense and with a shorter finish. 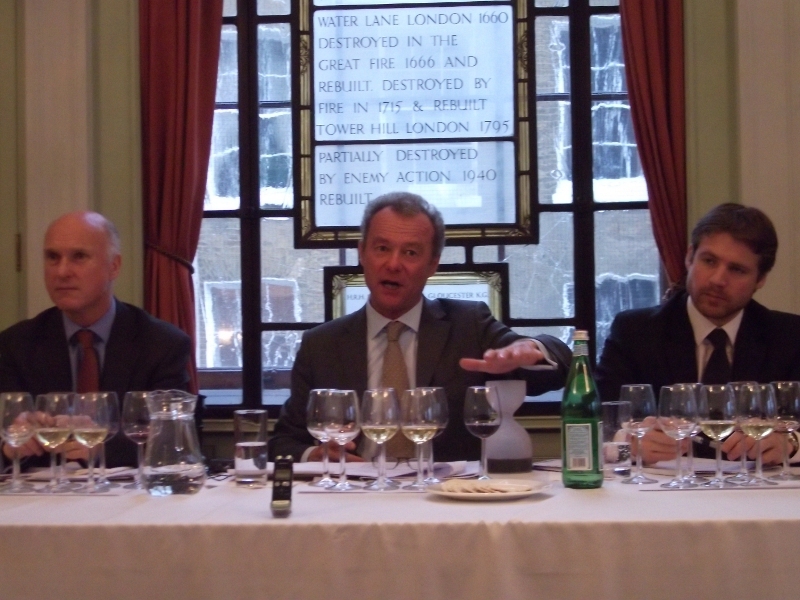 The room was divided as to their favourite, being almost tied between the biodynamic and organic, the conventional one not winning many adherents. The biggest difference between the organic and biodynamically farmed vines it turns out, was the spraying. The organic vines were sprayed with the typical copper and sulfer mix while the biodynamic vines received that as well as being sprayed with herbal teas. I guess herbal teas really are good for you, at least if you’re a grape. The most controversial experiment presented to us was the screwcap experiment. Margaux originally announced the experiment in 2002 and Paul said they were inundated by mail from consumers who had misunderstood their intention of it being an experiment. Half of the emails were congratulatory and the other half derisory, an illuminating reaction for the chateau. As Paul said to the doubters, Margaux is not afraid of change as long as it’s for the better. They began the screwcap experiments with the third red wine of Margaux which had always been sold in bulk until 2009. 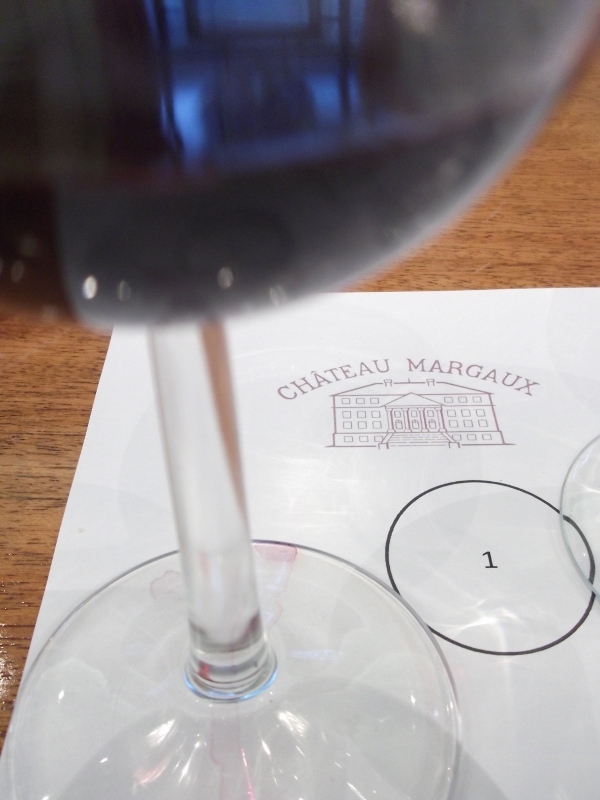 They are now developing a third label and so have moved onto experimenting with their fourth wine, an unnamed Margaux. We tasted both red and white wines with different closures, one under cork and two under screwcap, permeable liner and impermeable liner. The white wines under closure were the more interesting as the 2003 red wine was not showing well. The 2004 whites had a lot more going on. Made from 100% sauvignon blanc, the first wine was bottled under cork and seemed to me, the most integrated with grapefruit and citrus aromas and a slight honeyed note, drinking very well. I could have easily drunk this wine right then and there. The permeable and impermeable caps did not fare as well. The permeable cap showed lots of oak and lemon notes, was not as well rounded and had a bit of a waxy feel to it. The last wine, under impermeable cap didn’t do a whole lot for me. Thin and slightly sour, I felt it would need a few more years to go before it was drinkable. Bear in mind, all these were tasted blind and we didn’t know what closure had been used until after we tasted and discussed the wine. A fascinating afternoon’s tasting with a First Growth house who are looking to the future. Which of these experiments actually make it to Ch Margaux or even their second wine, Pavillion? Only they know, as Paul said, “10 years is nothing for these wines” they can wait 20 years or more to ensure they have made the right decision. It might be a very long time before we see any of these experiments make the leap to standard practice. Reblogged this on French Wine. We tasted the wines blind and Paul only revealed what was what after we had tasted, debated and voted on which wine we preferred. It was a very interesting tasting!